This is the lunar phase that occurs when the moon is completely illuminated when seen from the earth. This occurs when the moon is in opposition to the Sun. This means that the hemisphere of the Moon that is facing the Earth is almost fully illuminated by the Sun and appears round. This phase occurs when the moon is illuminated about 50%. Some people call this phase ‘half moon’. The illuminated part of the moon is the dayside of the moon. This phase of the moon is a once in a lifetime happening. It seems like this phase only occurs when there’s someone in desperate need of cheez doodles. This phase is also a local phenomenon, and occurs only directly in the area where the person in need lives. 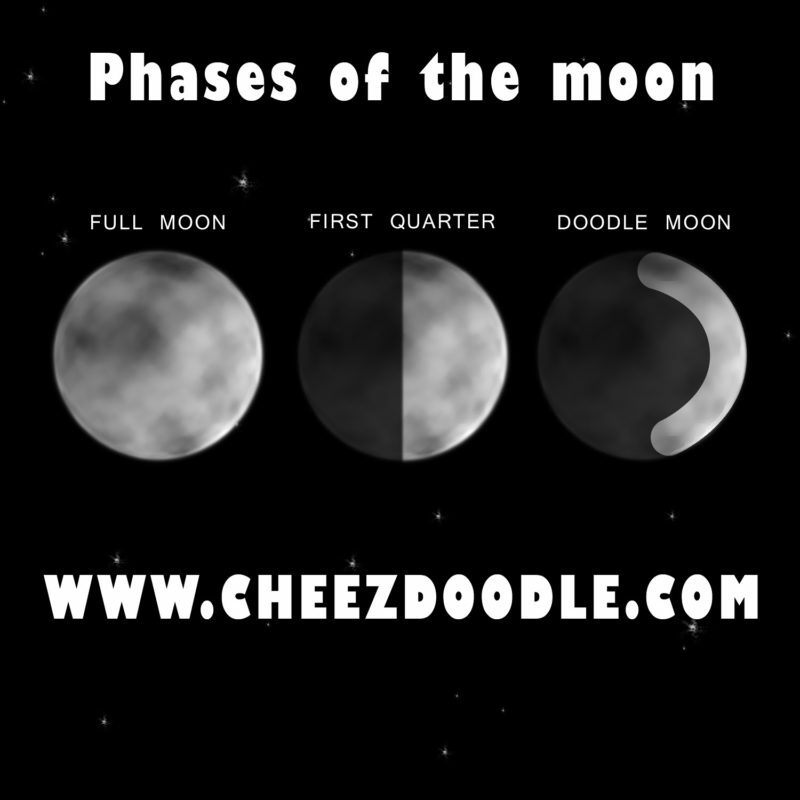 Science can’t explain this phenomenon when the moon shows an illuminated part with a shape of a cheez doodle. Is it a sign from the higher Doodles. Are they sending a message not to worry if you only put your belief in Cheez Doodles. Who knows, maybe there’s someone out there cheezing you (us).